I can remember vividly that August morning nearly eleven years ago. I sat cross-legged on the floor of my family room facing my soon-to-be two year old son reclining in his little rocking chair and my newborn daughter nestled in her baby swing. The house was quiet. My husband had just left for work – his first day back after the birth of our daughter, and my parents had returned to their house after helping us out for a week or so while I recovered from my cesarean. I looked at the innocent, trusting, beautiful faces of my children and wondered when someone more responsible than I was going to show up on the job – someone who knew what they were doing….because I certainly did not have a clue. Filled with self-doubt, I poured through parenting book after parenting book looking for the answers that would transform me from a quivering amateur into a calm, cool, professional parent. Amidst the myriad of information, some good and some not so good, I never did find the answers I was looking for, because, as it turns out, I was asking the wrong questions. 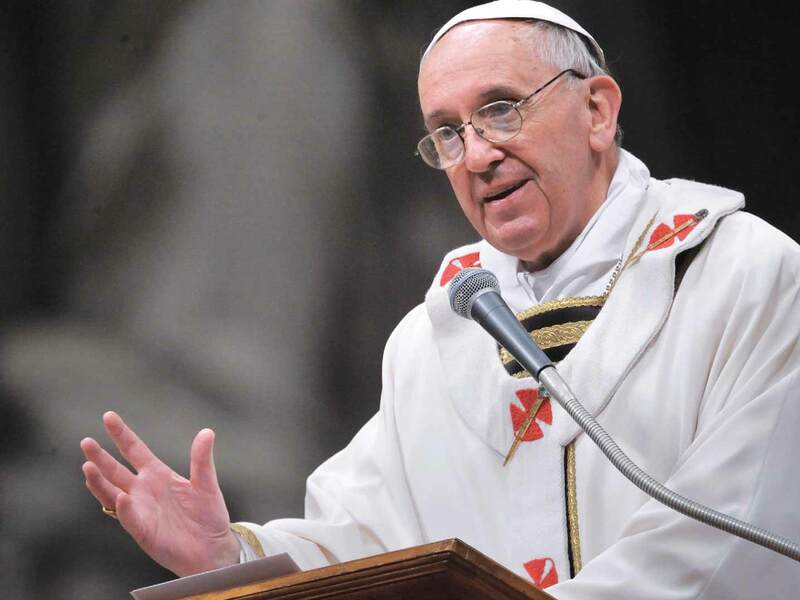 Pope Francis, in urging “family education to rediscover the pride of its leadership”, reiterated the consistent teaching of the church with regard to the family’s right to the education of children. The Holy Father acknowledged that the challenge of educating their children often leaves parents “paralyzed out of fear of making a mistake.” This was the position I found myself in on my first morning alone with my children. My fear drove me to ask the wrong questions. I was searching the parenting books for a tried and true method of raising children – looking for a “recipe” I could follow and presto – two mature, fully “baked” adults would emerge out of my two babies. Over time, my husband and I have come to realize that the goal of educating our children is far less about the facts we can pour into their eager minds, and far more about the guidance we can provide them on their own journeys of discovering God’s world and his plan for their lives – guidance we can provide only when we take the time to really know where our children’s hearts are. Our fear of making a mistake in “family education” cannot and should not stop us from embarking upon the enterprise. The Pope recognized that the reality of family life is often far from perfect and that family “life is not made in a laboratory, it is made in reality.” It is in the messy reality of life that true education in the virtues can happen. I had hoped as a young Mom that I would grow into some sort of “professional parent” – an expert who had it all together. After nearly 13 years of parenting, I often feel like more of an amateur than I did on the day of my first child’s birth. However, it is in those moments of weakness, failure and frustration, that our family has learned greatest lessons about humility, sacrifice, forgiveness and unconditional love. Education within the family is such an important subject and one that needs to be discussed more often. All parents are the primary educators of their children, whether they send their children to a school building or homeschool them. Your experience as a new mother is not uncommon, as a matter of fact, it is too common. We have been made to feel inadequate in our abilities from the “experts”, and that has kept us from teaching children important lessons regarding faith and life. Then, upon finding out a child does not know something or has a misguided understanding of a certain subject, we ask, “Didn’t they teach you that in school/religious ed?” It is sad. Thank you for sharing your story and writing about the importance of family education. And as usual, Pope Francis always makes me dig a little deeper and strive to be a better person. Thanks Erica! Pope Francis’ direct style stop me in my tracks as well. The funny thing is – as I reflect upon my consultation of the “experts” – it never empowered me as a parent, only made me feel less and less adequate. By contrast – through prayer and seeking God’s will for our family, we have found the clearest answers and the grace to follow those answers.. Thanks for sharing your thoughts! The personal statement will most likely be the most important piece you will write for your graduate degree application. Personal statement essays aid the admission committee in assessing an applicant’s eligibility to graduate school.